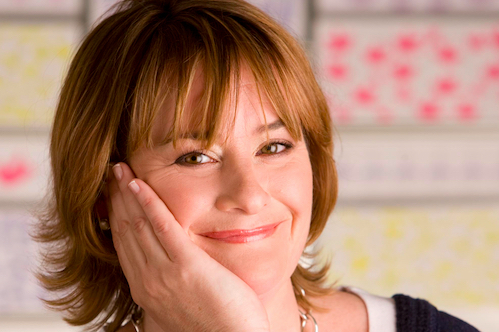 Harriet Hastings is the founder and MD of Biscuiteers. 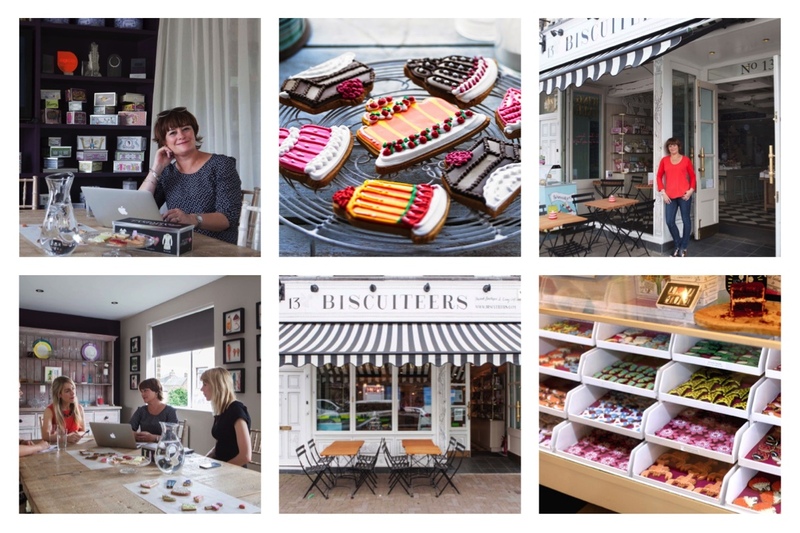 Biscuiteers Baking Company is a gifting retailer specialising in hand-iced biscuits, chocolates and cakes. The business started online in 2007 delivering to both the UK and internationally. Online shopping – I am still totally excited by the life changing effects of being able to manage my life online. It is transformative particularly if you are in the country. I would probably have set up my own business earlier. 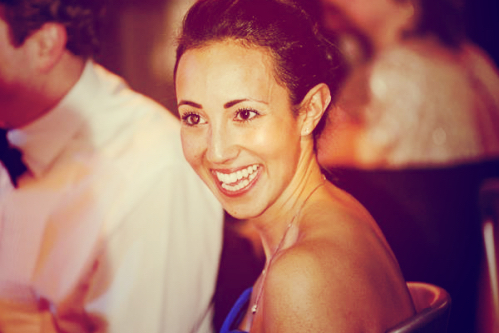 My husband runs his own business too (Lettice – the London based catering and events company) and for years I thought that one business was enough in one family but actually the younger you can do it and the more energy you have the better! Sleeping. I am not an early bird and absolutely love staying in bed and having a nap in afternoons at weekends if I can. We are usually in Suffolk at weekends and I like to walk and spend time out with my children, usually with their ponies. It’s about the pleasure of being outside for me after a week in the city. Whistles or Jigsaw are great for work. I like t shirts from J crew and MIH jeans. I also love Goat and Agnes B.
I think working out the balance between on and offline trading and the role of high street retail in the mix is critical. I am just about to go to Lisbon but top of my wish list is Stockholm. I’ve just watched too much Scandi drama and love the whole design ethic. I get most inspired by books and writers that I admire. I recently read and loved Amory Clay by William Boyd. I pretty much love all his books. For me biking to work is great way of waking me up and clearing my head. I always think it gives me lots of positive energy! Don’t be afraid to try lots of things – there is plenty of time to have more than one career. Don’t be in too much of a hurry – I think everyone is nowadays. The book I am reading – I always try to read before I sleep – it helps me to relax and remove myself from my day. I think probably a journalist/writer. My father, grandfather and brothers were all in the same job so it seemed the most likely choice at the time. My mother – she died when I was 16. I’ve thought of quite a few questions over the years since then. I think it might be a bit late but I would love to kite surf. It looks incredible. I’m wearing MIH black velvet jeans, Max Mara jacket and tweed Goat coat. I am on my bike so comfort clothes today. I am sure there should be more focus on IT. It’s central to the kind of skills that will be needed and yet still feels a bit like a nice to have rather than a core subject. I am not easily star struck as used to work in publishing PR and met lots of people. I do remember spending 2 weeks with Sammy Davies Jnr when he was promoting his autobiography. He was on tour with Frank Sinatra and Liza Minelli. I was exposed to the full Hollywood star machine and as a young publicist was suitably overwhelmed. I love the theatre and particularly the Donmar and would suggest Josie Rourke the artistic director. 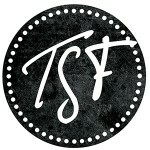 TSF 44: Alexandra Soumm - Violinist, Co-Founder & President of the foundation Esperanz'Arts.